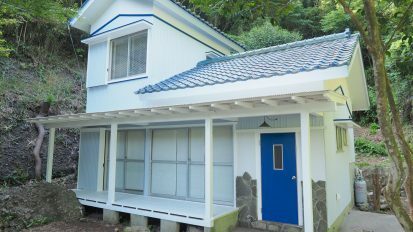 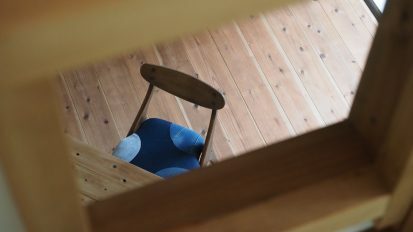 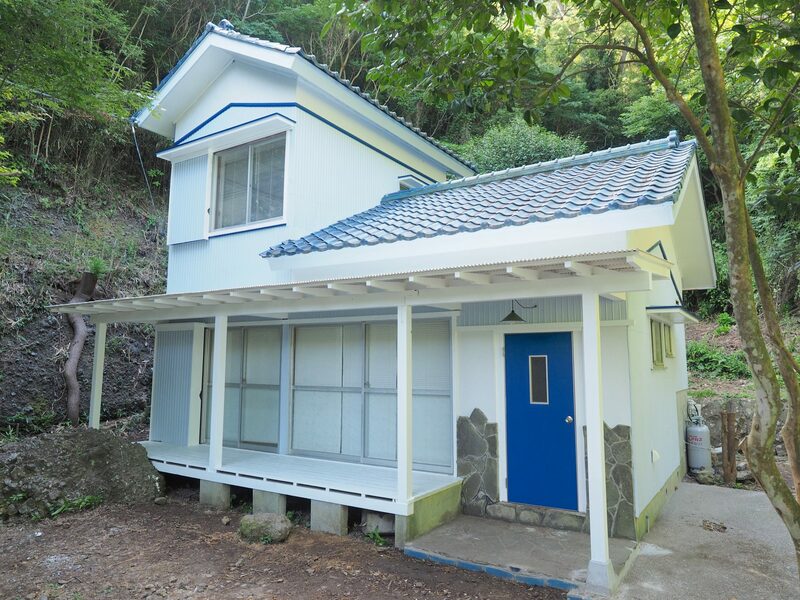 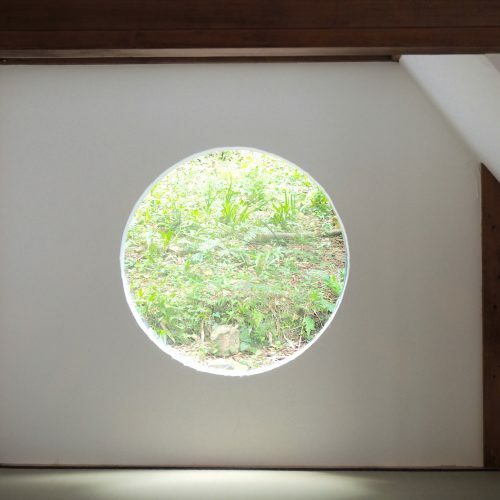 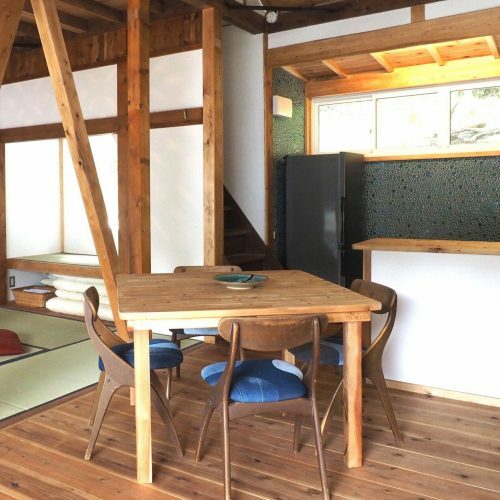 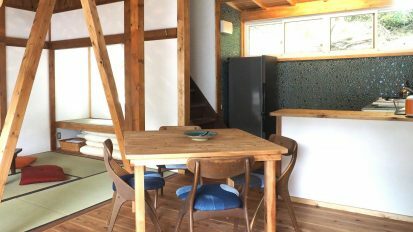 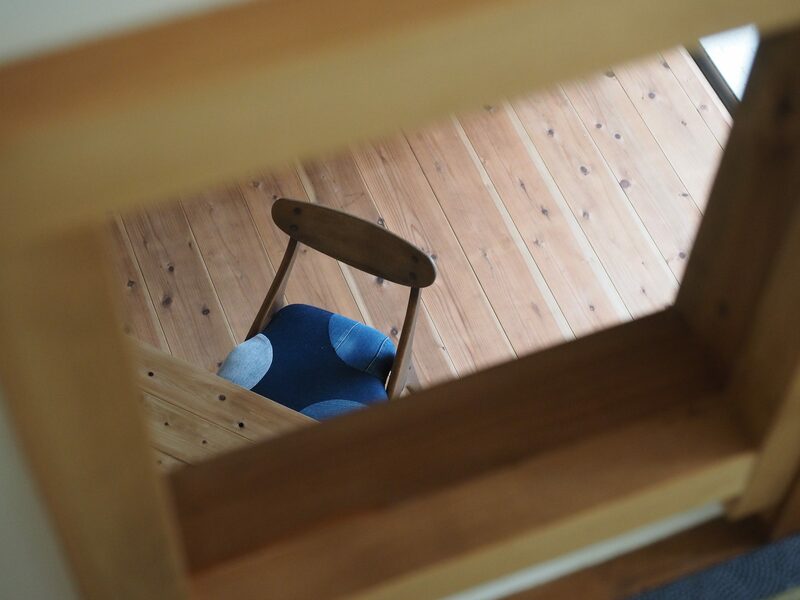 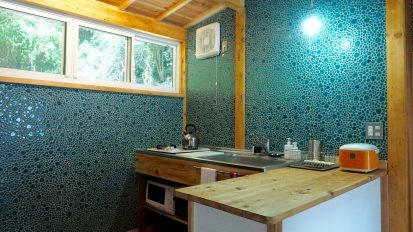 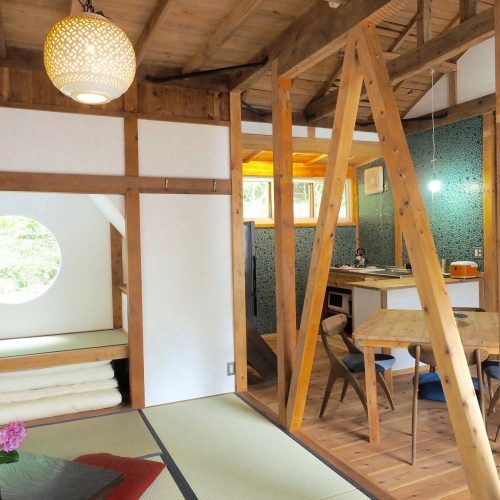 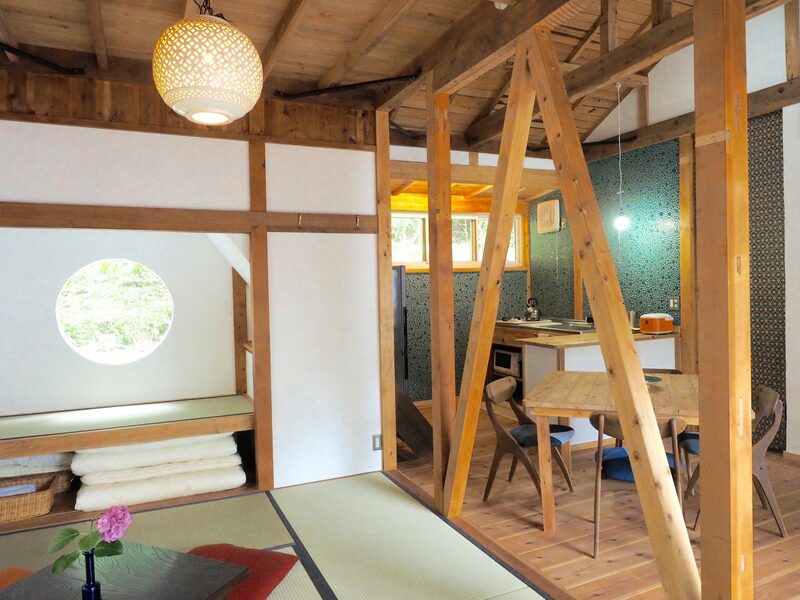 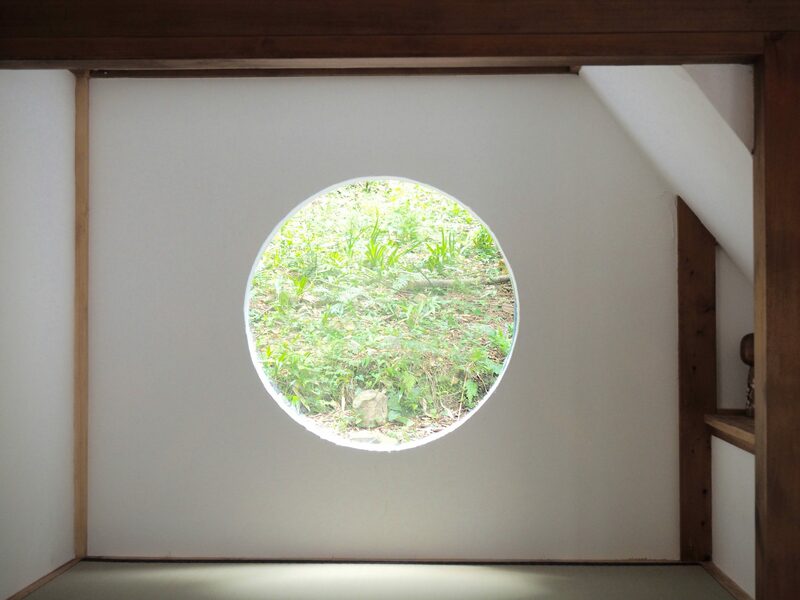 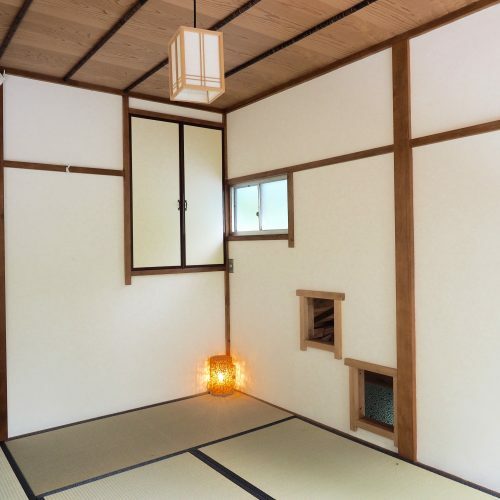 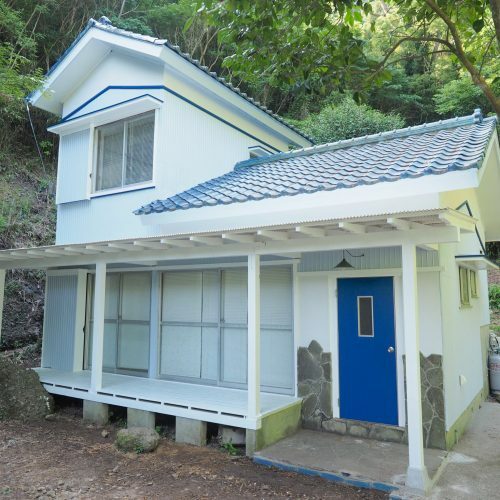 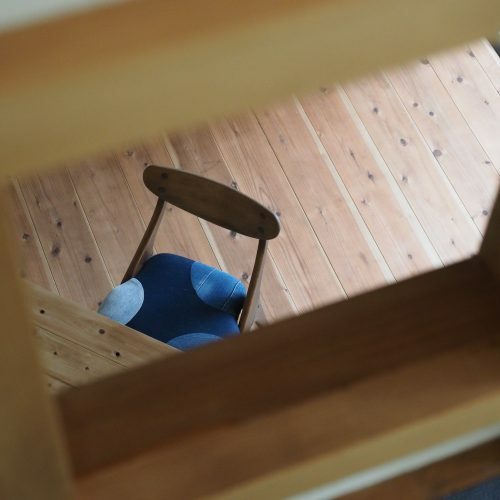 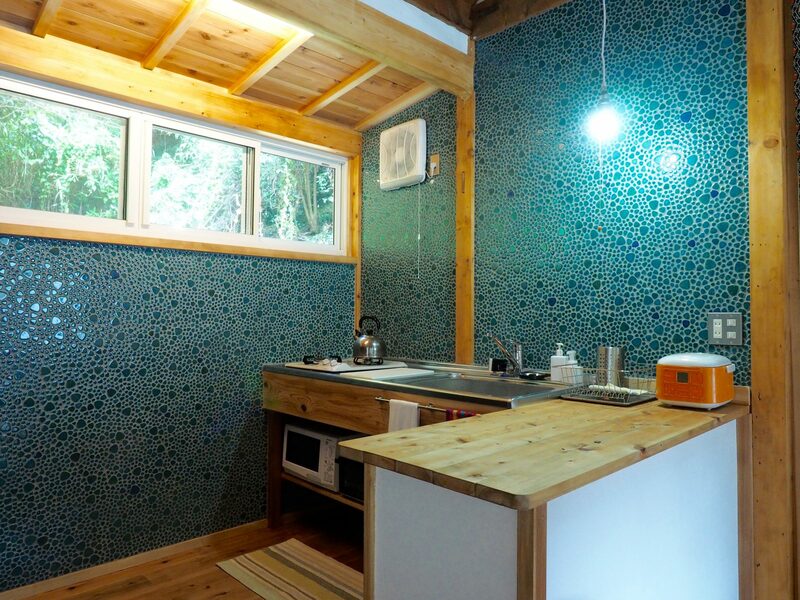 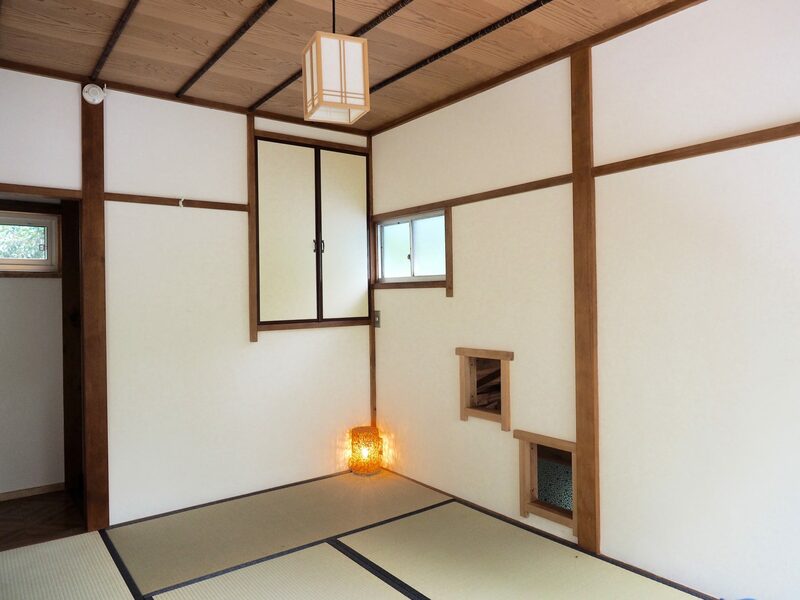 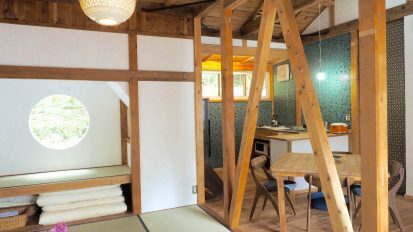 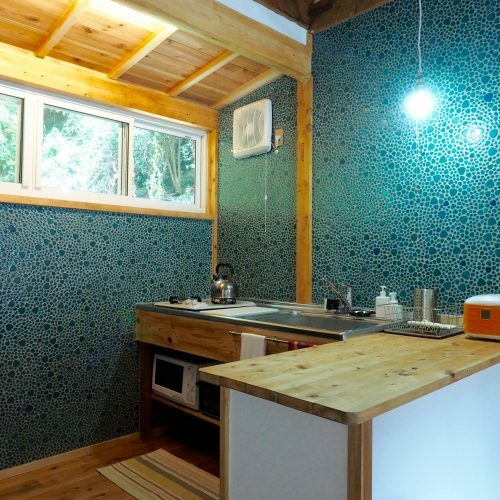 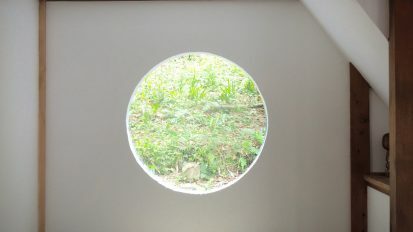 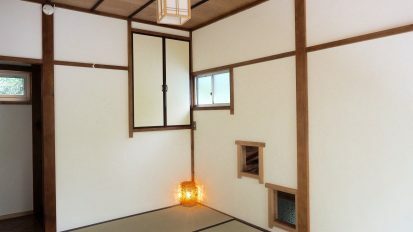 This vacation house rental is on the grounds of Retreat wabi-sabi, walking distance to the popular Kisami Ohama beach. 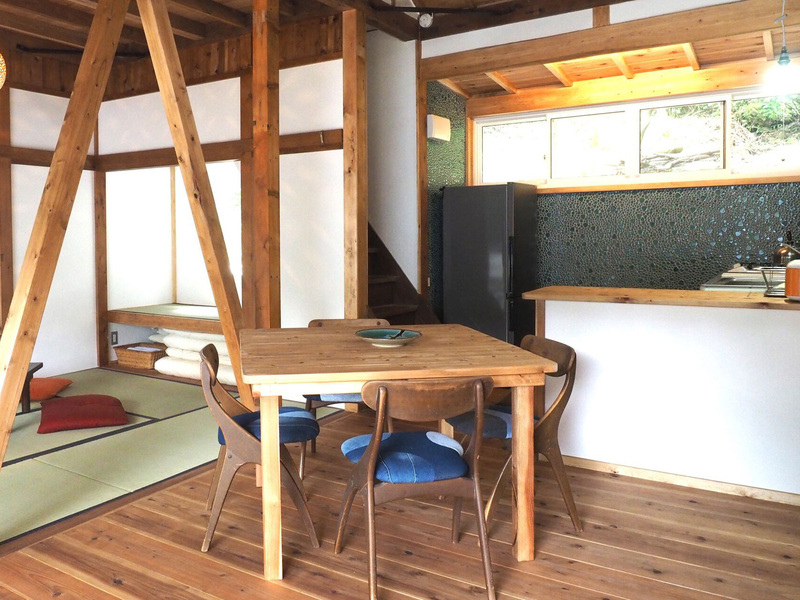 Oku Cottage sleeps 4 people in 2 tatami rooms, one upstairs, one on the second floor. 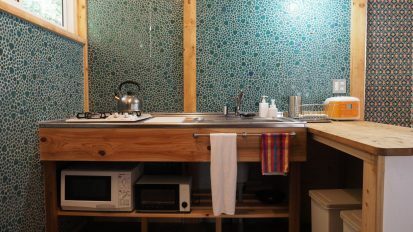 The cottage is self-contained with a fully equipped kitchen, bathroom with toiletries, and western toilet. 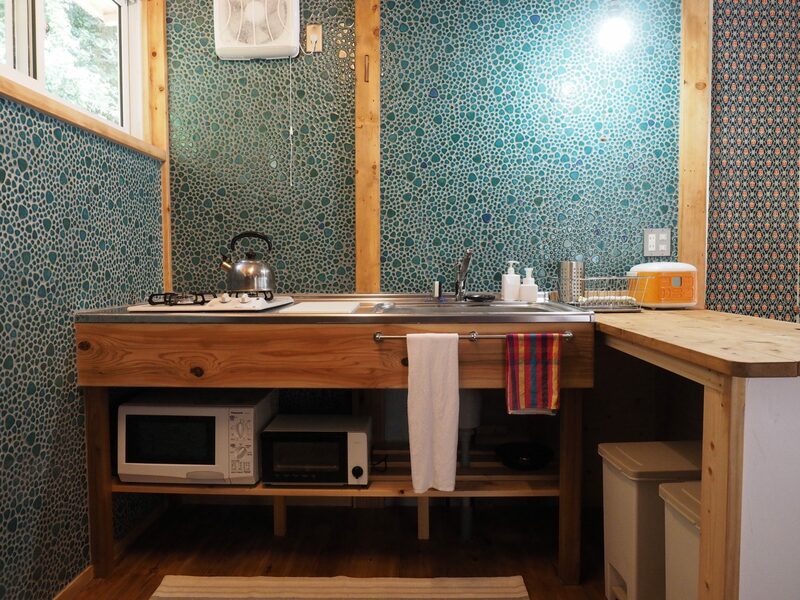 Guests at the cottages are welcome to use the washing machine at the guesthouse. 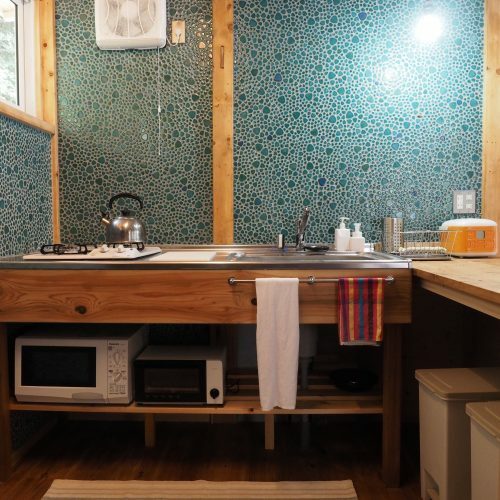 Beach towels, extra linen, bicycles, surfboards and other beach toys are available for rent.